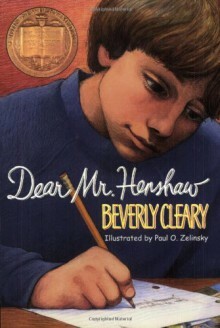 Grade level 5 Dear Mr. Henshaw is a great book to have the students read and write a report. The book has many examples of writing different types of letters (buisness letters and personal letters). The book also includes rhymes and pictures to keep the students' attention. This book taught me how to be an author, WRITE.